Gone are the days when the Roomba was the only trusted brand. Today, we have several affordable and reliable brands, ILIFE and ECOVACS being among them. In this article, I am going to review two of their cheapest models; ILIFE A4s vs. DEEBOT N79s. Besides the affordability, these two vacuum cleaners are known for their versatility. They can handle hardwood floors, tile, carpets and even remove pet hair. But as expected, these two vacuum cleaners have quite some significant difference and consequently, varied performance. That said, you need to be sure of the choice you make. In this ILIFE vs. DEEBOT comparison review, we have put these two vacuum cleaners head-on in a bid to understand whatâs the best model, for what tasks? Letâs first look at each model in short before proceeding to how they square it out. Whatâs the Best Robot Vacuum for Carpet? 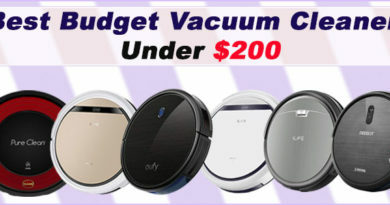 This Chinese brand has been on the rise in the recent days releasing several new robot vacuums including the ILIFE V8s, and ILIFE A8. The A4s has been around for a while, and it would be unfair not to acknowledge the fact that it has played a crucial role in keeping ILIFE afloat. This is a very affordable model and one that you can rely on for all your household floor cleaning chores. The first thing I want to talk about is the cleaning orientation of this robot vacuum. 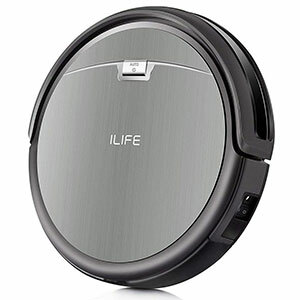 ILIFE is known for producing very cheap robot vacuums with mopping function. This is true for the ILIFE V Series models, but for the A-Series, like the A4s, much emphasis has been laid on carpet cleaning. That takes us to the motor and suction power of the A4s. It is equipped with a Gen 2 motor that can run on low and high power. In high power mode (Max mode), there is higher suction power making the A4s a great deal for carpet owners. The runtime is pretty fine and would cover an average apartment in one charge. The navigation is a SLAM, backed up by cliff and obstacle sensors. It works pretty fine, but if you have a lot of furniture, it is bound to get stuck from time to time. Unfortunately, ILIFE has been adamant when it comes to Smart connectivity. So far so good, their only vacuum cleaner that I know of with Wi-Fi is the ILIFE A7; the rest rely on a remote only for control. This is the same case for the A4s. Iâm not sure how this will go with you, but for me, I prefer to have access to all my gadgets on my Smartphone. But still, I understand there are a bunch of homeowners that donât want anything Smart around their house. With the proliferation of hacking, you may want something that is not in any way susceptible to attacks. Also, for the price, you shouldnât complain much as long as it excels in its primary function, cleaning! The ECOVACS N79s is a new model that came to cover up for the flaws that the N79 manifested. The previous model lacked some features, and Iâm glad ECOVACS took the criticism positively and came up with the N79s. So, what does the DEEBOT N79s offer and is it a better model than the N79? Here again, I would like to talk about the cleaning orientation. First, if you were looking for a robot vacuum with mopping function, the DEEBOT N78 is your match, not the N79s as it only offers vacuuming. It also has a 2nd Gen motor that enables it to run in two modes; low and high power, the result, better cleaning on carpets. However, the best thing about Deebot N79s is the Smart features. Unlike ILIFE, ECOVACs has been very keen on Smart connectivity. The DEEBOT N79 and N79s comes with Wi-Fi for Smartphone operation. However, the N79 lacks voice control but the new model, N79s has been upgraded and works with Alexa and Assistant as well as a host of 3rd party integrations. Amazingly, the price is not that high compared to that of the N79. But just like the other cheap robot vacuum cleaners, the Deebot N79s has a few cons. The first one is regarding the navigation system. This one is not for use in crowded rooms as it gets stuck quite often. Another thing, it doesnât map the floor, so its navigation is quite random. But for a cheap robot vacuum cleaner with Smart features, definitely, there are a few things to sacrifice. Having looked at the two models in our review today, itâs time we get deeper into the comparison review. 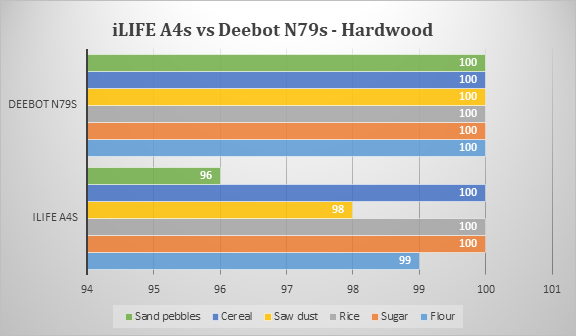 To make things easier for our readers, letâs look at how ILIFE compares to Deebot in light of the critical factors considered when buying robot vacuums. Without further ado, letâs start the comparison review. The design of a robot vacuum matters. It determines the bin capacity, as well as the maneuverability of robot vacuums. In the market, ILIFE is among the best when it comes to design. It has some of the thinnest round robot vacuums. On the other hand, Deebot has a similar design but is a little bit taller than ILIFE A4s. This makes the A4s best if your furniture have very low ground clearance. ILIFE A4s measures 12.2 * 12.2 * 3 inches and weighs around 6.7lbs. On the other hand, its mate, the Deebot N79s measures 13 * 13 * 3.1 inches and weighs 4.9lbs. When it comes to aesthetics, they are both finished in grey. The only difference worth mentioning would be the quality of the outer material. They have been constructed from high-quality ABS polymer, but the A4s looks stronger. For some reason, the Deebot N79s seems fragile. It is also susceptible to scratches more than ILIFE so if you have dogs; you need to take care. Winner â The ILIFE A4s is my choice because of the slimmer, tough and prettier design. Besides that, it has a larger dustbin. The cleaning performance of a vacuum cleaner is the ultimate factor to consider when shopping for one. 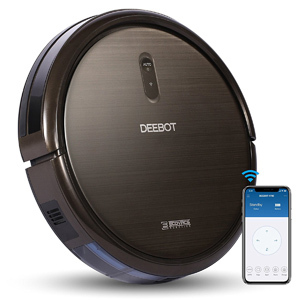 Like earlier mentioned at the start of this review, the Deebot N79s and ILIFE A4s have been fronted by their manufacturers as good vacuum cleaners for all floors, carpets, pet hair, and allergens. But is this true, thatâs what we are going to find out in this subtopic. To help you make the most out of this comparison review, we will first analyze the cleaning features and after that see the results of the cleaning tests we performed. So, without further ado, how do the features that matter compare? Cleaning priority â The first thing you want to look at is where the vacuum cleaner has been designed for use. The ILIFE A4s and Deebot N79s have been designed for hard floors, carpets, pet hair and also allergens. But then, the performance is not as the manufacturers suggest. Orientation â The other thing is about the vacuum cleanerâs orientation. As we are all aware, ILIFE and ECOVACS are among the brands that have robot vacuums with integrated mops. Examples include the Deebot N78 and ILIFE V7s Pro. However, for the two models in our discussion today, they only vacuum. Motor & suction â The motor is an integral part of the vacuum cleaner and determines the vacuuming power the cleaner will have. If you have carpets, you understand the essence of high suction, especially if you have a heavy carpet. Both vacuums have a Gen 2 motor, but whatâs significant is the two power modes, low and high power. ILIFE comes with Max mode that delivers higher suction on carpets. ECOVACS also has a similar motor with Max mode making them both ideal for carpets. But the slight difference is with the suction output in Max mode. ILIFE A4s averages 1000 Pa in Max mode whereas Deebot N79s averages 900Pa. One thing I want you to note, the Max mode in these two vacuums is the equivalent of Carpet Boost in Roombas or Turbo mode in the Botvac D7 Connected. Noise â Robot vacuums can be a little noisy, but then, the degree of operation noise varies from vacuum to vacuum. Fortunately, we have Gen 2 motors in these two vacuums, so they are not as noisy. They both average 68dB but apparently, when in high power, the noise level drastically goes up to around 73 dB. Brush system â Pet owners also need to be wary of the brush system. This is the same case for hardwood floor owners. A good brush system for pet hair should be anti-tangle, and Iâm glad the A4s and N79s have tangle-free V-brush systems. Filter system â Allergies seem to be a severe concern for the American population. If you add the pet-related allergens, it can be a nightmare for your family. Gladly, robot vacuums have filters; HEPA and HEPA-style. Always look for the true HEPA filters because of their almost 100% efficiency. Bin size â You want to get a vacuum with a large bin and of course, a full bin indicator. The Deebot N79s comes with a 0.3L bin while ILIFE A4s has a 0.45L bin. Unfortunately, ILIFE doesnât have a full bin indicator so I would go for the Deebot N79s. Cleaning modes â Unlike the old vacuum cleaners that had only one cleaning mode, AUTO, the latest vacuums have up to 6 cleaning modes tailored for different cleaning needs. The two vacuum cleaners in our review have five cleaning modes. These are Auto, Edge, Spot, Schedule and Max mode. Now, it is time to share the cleaning results we got after testing these two vacuums under different conditions. I also did this test in my two-bedroomed apartment where we have two kids and a dog and a cat. We tested the robots on the hardwood floor as well as on the carpet and here are the results. Just like all hard surfaces, hardwood is often easy to clean, and an average vacuum cleaner would do the job. But make sure you get a gentle brush because some extractors are too rough for your floor. Fortunately, Deebot N79s and ILIFE A4s have soft brushes, so your floorâs safety is not in jeopardy. 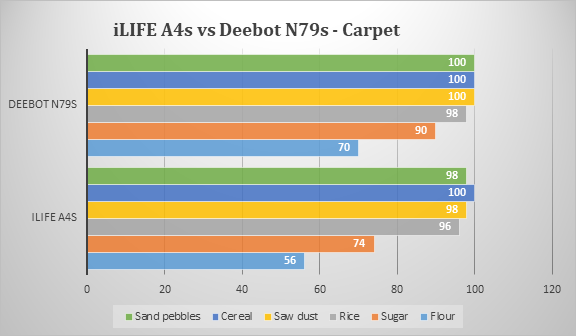 When it comes to dirt collection, the Deebot N79 s and ILIFE A4s collected all the dirt that we tested it with except for the flour. The finest flour particles couldnât be picked up, but then, with a simple wet wipe, you are sure of a clean floor. On carpets, the performance was also good but only on thin carpets. Otherwise, for heavy carpets, they donât guarantee thorough cleaning. The smallest particles proved to be a problem for the two vacuums, but at least the Deebot N79s had slightly better performance. For the best deep carpet cleaning, I would recommend something like Roomba 980 or D7 Connected that come with Gen 3 motors. Here are the results of our tests on the carpet. Many homes have pets and cleaning their mess is homeownersâ biggest nightmare. The Deebot N79s and ILIFE A4s have been recommended for pet hair, and to some extent, I agree. But I would give credit to the Deebot N79s because it has a true HEPA filter. A lot of people have problems with the pet-related allergens, and the true HEPA filter has 100% efficiency. But regarding tangling, I must commend both because they have a tangle-free V-brush. Winner â When it comes to cleaning performance, Deebot N79s is the best option as it comes with higher suction power. The true HEPA filters also make the difference. But still, I donât want to put the A4s down because its performance is also ready for the task! The autonomy of a robot vacuum cleaner is a critical aspect. This is the same case for power management. As we all know, robot vacuum cleaners come with rechargeable batteries. But the biggest question remains, how long can it last. Subsequently, what does the vacuum cleaner do when the battery power goes down? Robot vacuum cleaners are so independent that they will feed themselves. When the battery goes down, it will go back to the charging base often integrated with the purchase. After recharging, most of them will remain in the charging dock so you have to prompt them again so that they can go back to cleaning. But some advanced, models like Roomba 960 and Roomba 980 will resume cleaning after recharging. Unfortunately, for our two vacuums, none has this feature. That said, it is essential to look at the runtimes of each vacuum cleaner. But then, some factors determine how long a battery can run. The first thing youâd want to look at is the battery technology. I hope you are aware of the different types of battery technologies, as well as their pros and cons. When it comes to robot vacuum cleaners, the debate is around Li-Ion and NiMH batteries. While the former is known for durability, the latter has a much larger capacity. But still, the capacity, measured in mAh matters the, most. Ideally, the higher the mAh, the longer the runtime. The Deebot N79s comes with a Li-Ion 2600mAh battery that can run for a cool 100 minutes. On the other hand, the A4s packs the same battery technology with 2600mAh, but now, it can last for 140 minutes. These are the standard running times when the vacuum is fairly new and in excellent condition. Remember, a sub-serviced vacuum cleaner will use a lot of power, just the same way your car uses more gas when not serviced. A heavy bin may also make your vacuum run for a shorter time as well as when pets ride on the vacuum. Also, when the battery fades, the runtime gets shorter, and finally, you will be required to get a replacement. Make sure you get authentic batteries are there are a lot of cheap knockoffs around. Winner â Here, it is hard to call because they all have almost the same runtime. However, the ILIFE A4s sounds like a much better deal because it has a pretty longer runtime. In the past, regular vacuums required full-time human intervention to work. But with the new age robot vacuum cleaners, thereâs so much convenience with the automatic operation. There are also a host of other Smart features to keep up with the latest Smart Home developments. So, what does the Deebot N79s and the ILIFE A4s offer as far as Smart features are concerned? The first feature we want to look at is the programmability. One standard feature with almost all robot vacuum cleaners is the schedule function. This is a preset feature that allows homeowners to choose the preferred cleaning time for the entire week. When the pre-set time reaches, the vacuum cleaner leaves the home base and embarks on cleaning. The Deebot N79s and ILIFE A4 s both have this feature. For the record, this feature can be scheduled once daily so in case you require two or more cleaning sessions in a day, you need to activate cleaning manually via the control buttons, remote or Smartphone. That takes us to our next subject, operation. Robot vacuums that come with Wi-Fi allow homeowners to control it remotely via the Smartphone App. We also have voice control suing Alexa or Assistant as well as other 3rd party integrations like Wink Hub, IFTTT, and so on. Unfortunately, if you want these features, only the Deebot N79s has Wi-Fi. On the other hand, the ILIFE A4s comes with a physical remote control which also makes operation easier, but not as easy as when you use a Smartphone App. Winner â Definitely, the Deebot N79s is the winner here now that you can control it using the Home App or even Alexa. But still, ILIFE A4s can come in handy for the senior citizens who donât want all the fuss about Smartphones and Wi-Fi. The navigation and mapping system of the vacuum cleaner has been a hot debate for a while. While you may think of robot vacuums as the ultimate robots, they get stuck at times, especially in houses with lots of furniture. But then, there are some better systems than others so letâs see whatâs in store for us. Typically, there are two types of navigation systems, SLAM and VSLAM. The main difference is the type of data used to navigate. SLAM uses sensors only while VSLAM combines the sensors and camera images. If you have high traffic house, a VSLAM navigation system is the best. Unfortunately, VSLAM is a reserved technology for the high-end models; the likes of Roomba 980 and ILIFE A8, among others. ILIFE A4s and Deebot N79s both use a SLAM navigation system. To be honest, none of these two vacuums seem to interest me as far as navigation is concerned. This is because of the coming of the precise VSLAM navigation. On a reasonably furnished house, you will not have any problems, but when it comes to crowded floors, time and again, you may be interrupted by the âSTUCKâ beep if you have the Deebot N79s. Worse is when you have the A4s that has no remote notification. Fortunately, the Deebot N79s has the FIND ME feature that helps the homeowner know where the vacuum is stuck. Besides navigation, how the vacuum plans its work is very critical. This is called floor mapping and relies heavily on the navigation system. Typically, we know of random and methodical navigation. Random navigation is in these cheap vacuums with old navigation systems. The A4s and also to some extent, Deebot N79s have random navigation. This is different from what the manufacturer says on sales pitches. During our tests, Deebot N79s cleaned the house faster than then A4s, and we deduced that the updated software in Deebot N79s makes the floor scanning much efficient and consequently, faster cleaning. In addition to the navigation system, there are a set of sensors, each set with a specific function. On the sides of the vacuum cleaner, there are obstacle sensors, and as the name suggests, they detect obstacles ahead and tell the vacuum to divert. Below, you will also find obstacle cliff sensors that prevent the vacuum from falling off the stairs. Now, regarding the number of sensors, it varies from model to model. But then, the performance isnât significantly affected. There is also the aspect of boundary marking. Roombas have been a dominant force in this area, but unfortunately, most of the other brands have failed to follow suit. Only the Connected Series has a similar version, in fact, a better one called No-Go Lines. For our two vacuums, they all fail the test because there is no way of telling the vacuum where not to cross. If you have multiple rooms, the vacuum cleaner may leave some rooms before touching every spot. But then, thatâs what you get in a cheap robot vacuum. This is an area that makes the Roomba 690 a dominant force in the entry-level robot vacuums market. Winner â In as much as these two vacuums have SLAM systems, the software version matters. The Deebot N79s seems a great deal as it comes with the latest software compared to the older ILIFE A4s. This is also manifested in the efficiency of the Deebot N79s when you look at cleaning time. Having compared both vacuum cleaners, itâs time we give our verdict on whatâs the best choice between ILIFE A4s and Deebot N79s. Honestly speaking, both vacuum cleaners are worth the money, and itâs sad that you canât buy both at the same time. In this battle, we feel the Deebot N79s is the winner because of the many extras it offers. Here are the reasons why the Deebot N79s is our editorâs choice. Better suction â Deebot N79s delivers 100Pa in Max mode compared to the 900Pa of the ILIFE A4s. Smart connectivity â It has inbuilt Wi-Fi for Smartphone operation and voice control as well as 3rd party integration. This is a feature ILIFE doesnât have. Better filtration â ILIFE A4s, just like many cheap vacuums has HEPA style filters which are less efficient compared to the true HEPA filters the Deebot N79s packs. Value for money â The Deebot N79s has extra features and costs almost the same as the ILIFE A4s. This makes it a great deal and the best value for money. For these reasons, we feel the Deebot N79s is the best vacuum cleaner in this comparison review. But still, ILIFE has several attractive features that would make you want to think twice. Here are some reasons why ILIFE is still an excellent choice to consider. Lower price â If you decide to go with ILIFE, you will save a few bucks but at the expense of Wi-Fi, and HEPA filters. Sleek design â You will agree with me that the ILIFE A4s boasts a sleeker design, and is not as fragile as the Deebot N79s. Longer runtime â If you have a large apartment, you want to buy the ILIFE A4s as it can run for longer than the Deebot N79s. Now, we have come to the end of the ILIFE A4s vs. Deebot N79s comparison review. One question many people would want to ask is regarding durability. Which robot vacuum is more durable between the N79s and ILIFE A4s? The truth of the matter is that both vacuums are quite durable and would even last more than five years if you take good care of it. It all goes down to how you maintain your vacuum cleaner. Of importance is buying only the genuine replacement parts. Thatâs the end of pour review and make sure to check our other robot vacuum comparison reviews to make the best purchase decision!